After the loss of the Adrian Boult Hall, Birmingham Conservatoire has used the opportunity to take its world flavours across the city. The bulldozers, demolition hammers and JCBs continue to circle threateningly outside, but a packed programme of events testifies that Birmingham Conservatoire continues to be alive and kicking. The loss of Adrian Boult Hall has brought about the happy consequence that some of the Conservatoire’s concerts are now being given at other venues in the city. One such is tomorrow’s (February 10) performance at the CBSO Centre in Berkley Street, when Daniele Rosina conducts the Birmingham Conservatoire Projects Orchestra in what is in effect a world tour of concertos. We begin in Estonia, with Eduard Tubin’s virtuosic Double Bass Concerto, Aisling Reilly the soloist, and finish in Norway, with Shuai Li soloist in Grieg’s Piano Concerto. In between we cross the Atlantic to Brazil, for Heitor Villa-Lobos’ colourful Guitar Concerto, featuring Alex Roche. All three soloists are members of the 2017 graduating class at the Conservatoire. Another event at the CBSO Centre brings percussionists from the CBSO and Birmingham Conservatoire together for a spectacular lunchtime concert of works, beginning with a celebration of Steve Reich’s 80th birthday, his Music for Mallet Instruments, Voices and Organ. After this the audience will be infiltrated by six percussionists for Persephassa, a rarely-performed masterpiece by the composer-mathematician Iannis Xenakis, Romanian-born, raised in Greece, and who trained in Paris to become an architect. Mathematics and computers later became an inspiring influence (February 17, 1.10pm). Back at base in the Conservatoire itself, a Parisienne Festival between February 20 and 24 showcases the talents of the students in a generous panoply of French-derived hour-long programmes held at various times during the day. Highlights include the 6pm call on Monday, February 20, when the piano four-hands version of Stravinsky’s Rite of Spring is followed by Poulenc’s Sonata for Two Pianos. More piano music follows at 7.30pm, with Debussy’s evocative Estampes, Ravel’s Miroirs and the Sonata by Henri Dutilleux. Tuesday lunchtime brings a rare transcription for wind quintet and piano of Debussy’s ravishing Prelude a l’Apres-midi d’un Faune (1.05pm), and at 3pm there’s the opportunity to hear all three of the composer’s sonatas (violin and piano, cello and piano, and flute, viola and harp), written during the First World War, and when Debussy was succumbing to cancer. Yet more delights follow at 6pm, with Poulenc’s Clarinet Sonata and his very late Oboe Sonata, dedicated to the memory of Sergei Prokofiev. Other concerts feature works by Poulenc’s fellow-members of the iconoclastic, anti-Wagner group of angry young people, Les Six: February 22 brings chamber music by Darius Milhaud for a variety of string combinations (4.45pm), and on February 24 we can hear works for solo piano by Georges Auric and Germaine Tailleferre. This 11am concert begins with Julian Jacobson’s new piano duet arrangement of George Gershwin’s An American in Paris, and is followed at 1.05pm by an all-Ravel programme, featuring his String Quartet and Piano Trio. After this festival, two celebrity recitals follow in quick succession. The Spanish virtuoso on the French Horn, Javier Bonet performs both transcriptions and works originally written for his instrument on March 2 (7.30pm), and the great French-Canadian pianist Louis Lortie plays a programme of George Benjamin and Chopin (the complete 24 Preludes, Op.28) on March 7 at 1.05pm, followed by a masterclass at 5.45pm. Two days later, March 9 sees the opening night of this year’s major opera from Birmingham Conservatoire, with its third presentation in 16 years of the world’s greatest example in the genre, Mozart’s Marriage of Figaro. With its high spirits and despairing amorous ardour, this is an opera which could have been designed for young people. This production at the Crescent Theatre in Sheepcote Street will perhaps be the last to be overseen by Julian Pike, retiring at the end of this academic year from his post as head of operatic and vocal studies. 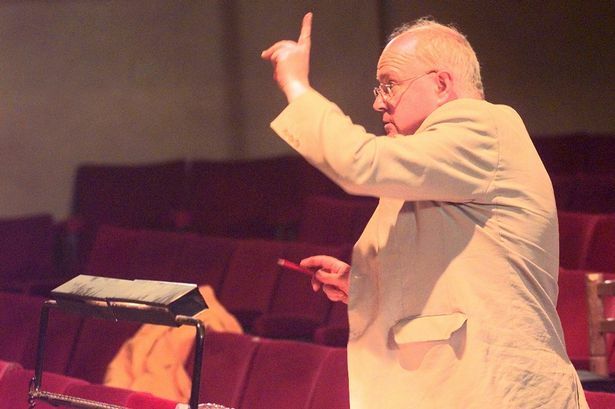 Michael Barry directs, and Fraser Goulding is the conductor. There are four performances, including a matinee on March 11. Neatly, another Pike features a few days later, when the violinist Jennifer Pike gives a Celebrity Recital on March 14 (1.05pm), with a programme of Mozart, Szymanowski, Vaughan Williams (The Lark Ascending) and Wieniawski, followed by a Masterclass at 5.45pm. Birmingham Conservatoire principal Julian Lloyd Webber gives a hint that perhaps this outreach into the city will continue even after the move into the wonderful new purpose-built home on Birmingham’s EastSide. * All details on 0121-331 5901. * Tomorrow: One of the greatest exponents of Bach on the piano, Angela Hewitt plays all six of the composer&apos;s French Suites at Birmingham Town Hall (7.30pm). * Monday, February 13: ECHO Rising Star Mariam Batsashvili crowns her Birmingham Town Hall piano recital (Bach/Busoni, Handel/Liszt and Mikel Urquiza) with Liszt Sonata (7.30pm). * Wednesday, February 15: An all-Russian programme from the CBSO under Alexander Vedernikov brings Rachmaninov&apos;s rare The Rock, his Second Piano Concerto (soloist Steven Osborne), and Tchaikovsky&apos;s Pathetique Symphony (2.15pm, repeated next day 7.30pm).